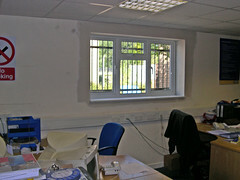 ABD Construction carry out a wide range of commercial building work. Whether it’s a school, an office or a warehouse we can create or replace windows and door openings to improve light, ventilation and access. We can replace and update cloakrooms, redecorate, build or remove partition walls to maximise space and we can supply and fit car park barriers and bollards to stop unauthorised access. We can also prepare all the necessary plans and obtain approvals.